Many good memories shared with your Grand Dad! I got to know about your grandfather through my parents who worked at ‘Campbell Chibougamau Mines’ in Chibougamau, Quebec, (I was working underground in my late teens as a miner at the same mine – mid-1960’s). Not long after I got my private pilot’s license ( still working underground to pay for the privilege…..) I met your grandfather and remained friends from then on. Sometime after Ron and Liliane moved to Senniterre, he and I happened to be up at Fort George ( Indian village on the mouth of the La Grande River on the East coast of the James Bay. * (has been moved up river to a place called ‘Chisasibi’ ). 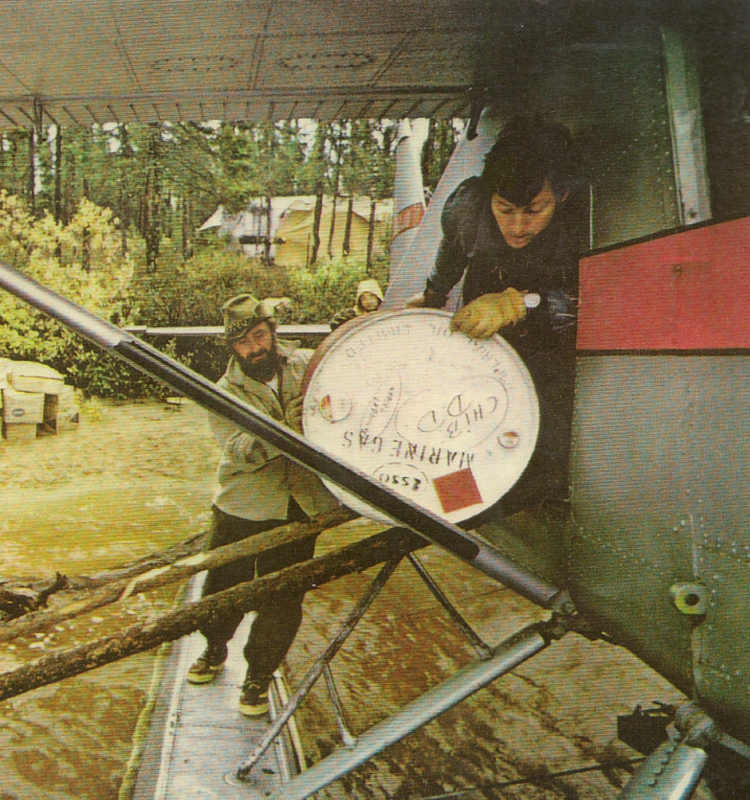 I was flying a Beaver on floats at time & carrying in a lot of American tourists to various fishing camps – Ron & I had a deal where he’d come down to the float-plane dock at the time of my last flight – he’d get on board with the tourists & me – we’d drop them off at their fish-camp then, we had the airplane to ourselves to fish with right up until dark! * ( of course we’d stop off at ‘choice’ fishing spots that few people knew of). I remember landing on a place called ‘The Seal River’ – we’d hop from rock to rock catching 3 lb speckled trout on a bare-hook! *(No fish story).